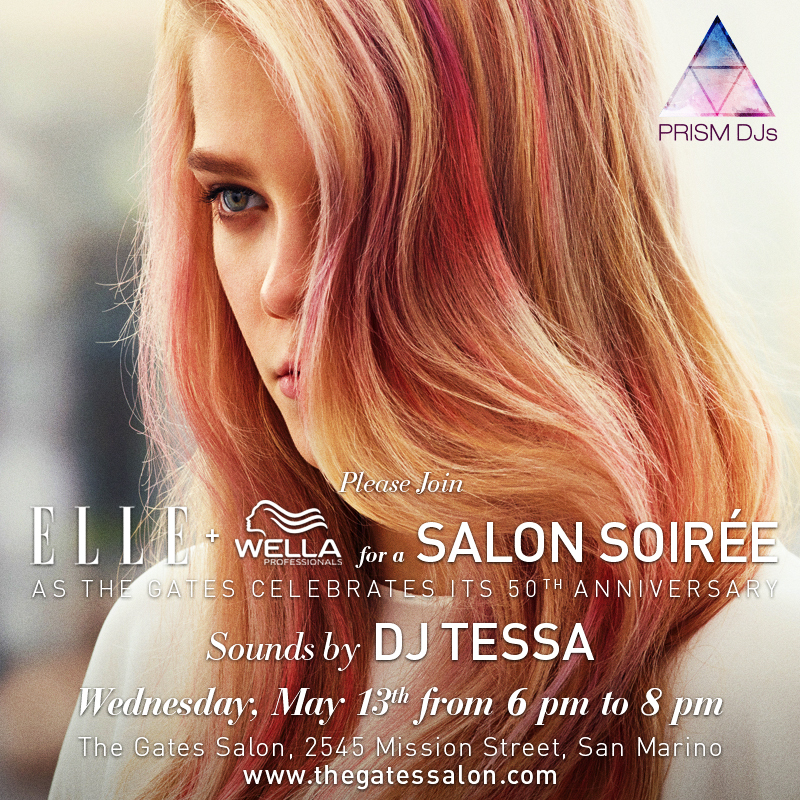 Tomorrow, we're excited to DJ the Elle Magazine + Wella Professional’s Salon Soiree hosted by The Gates Salon in San Marino. We are also celebrating the salon’s 50th Anniversary! Enjoy Cocktails, Hors D’Oeuvres, Sweet Treats, Color Consultations and a preview of the freshest hair trends this spring! Join us by RSVPing to ellersvp1@hearst.com with “The Gates” in the subject line.